This is a story about friendship, hanging in there and blazing your own trail. In 2002 we met Luella Doss. Luella had a line of fabric with Freespirit Fabrics as we did in the early days of that company. Luella saw us trying to convince shop owners that there could be room in the quilting world for a modern voice. 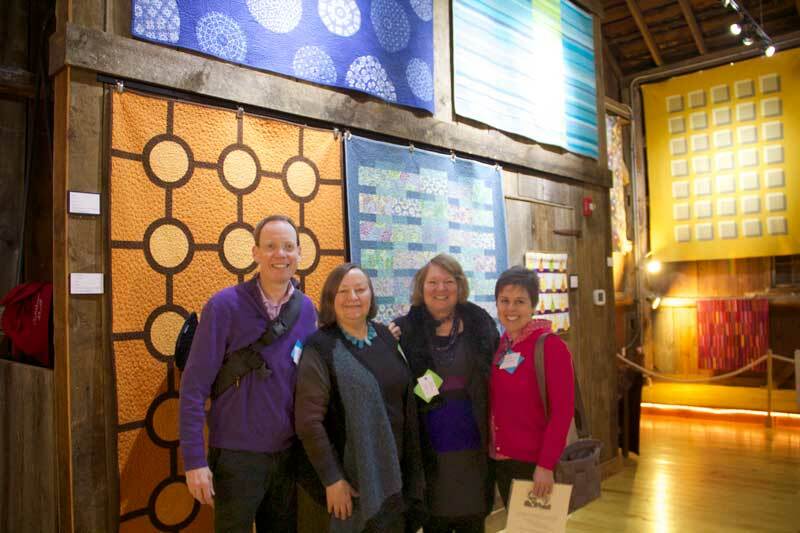 She also saw a lot of people who weren’t open to the possibilities for a Modern Quilt Movement in the quilt world. We had just adopted our daughter Sophie, who still a baby and Luella graciously gave us one of her charming fabric chickens as a gift for her. We continued to run into Luella at industry events over the years. A few years later Luella told us she was trying to raise money for a quilt museum in Wisconsin. 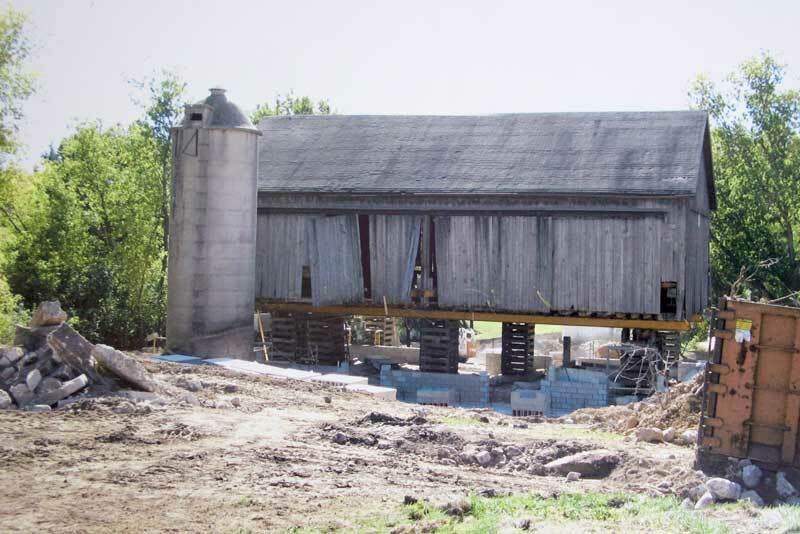 She told us that she had found a farmstead that she hoped to renovate to become a quilt museum. It seemed a massive undertaking and one that would take forever but we made a small donation hoping that her dream would reach fruition at some point. Several years ago we heard that Luella and her colleagues had indeed raised over $1,000, 000 and that the plans would become reality. 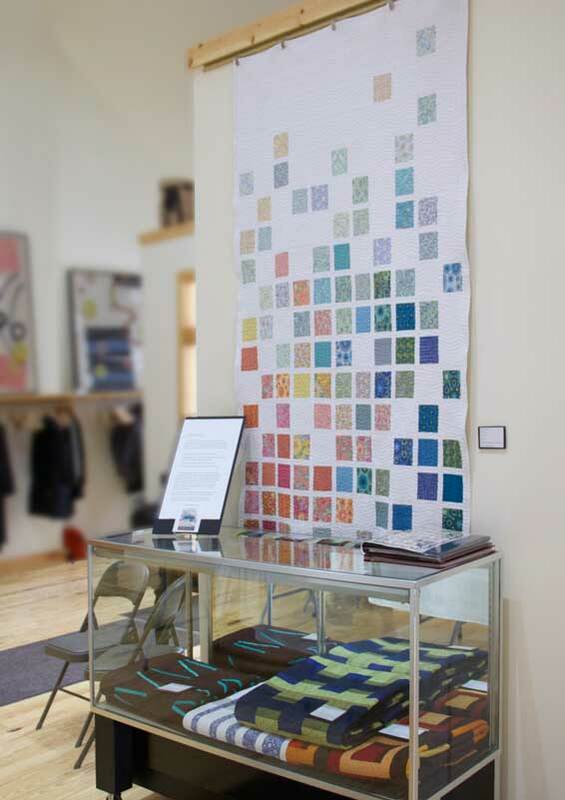 In 2012 I ran into Luella in Houston and she approached us about showing our work in a modern show at the museum which is officially The Wisconsin Museum for Quilts and Fiber.We interpreted that to mean that they wanted one of our quilts. 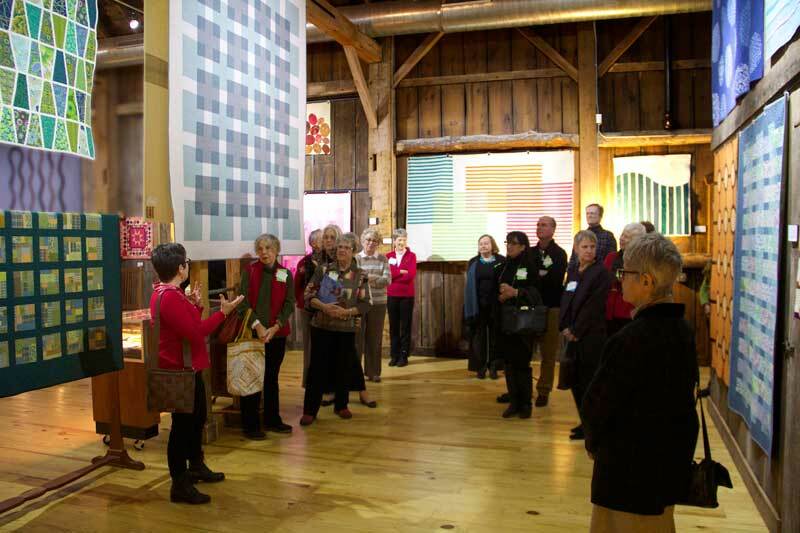 Toward the end of 2013 we began to solidify plans and Luella and her co-curator Norma Klimpke asked for 30 quilts! We washed, steamed and rolled the quilts up at the beginning of January and Bill drove them to the museum. On Sunday we attended the Artist Reception where these photos were taken. It was wonderful to have time with Luella. A lot has changed in our lives since we first met 12 years ago. Sophie is now 12 and growing like a weed. Sadly, Luella recently lost her husband but she has continued to work with a wonderful group of people to create an amazing organization dedicated to our craft. The day before our event she had a reception for Nancy Zieman, who recently wrote an autobiography. I thanked Luella for including our work in this show and she said, “I saw your struggles.” I knew just what she meant because I saw hers too. It seemed so ambitious all of those years ago to try to build this museum. We both know a few things about fortitude. The exhibit runs through April. This is wonderful! I would love to see a whole exhibit of your work! You should be very proud of your accomplishments – keep it up! Other people’s work is also included. It’s just rare to have a chance to have so much of it in such a beautiful setting. It’s a gorgeous space. By the way Karla, a new quilt made from Cherrywoods is coming up in Issue #8 out at the end of March. We’ll send an image once the photography is done. What a wonderful story. I wished I lived (well maybe was just visiting) close to Wisconsin so that I could visit the museum and see all your work hanging. Congratulations to both of you. This is so cool! 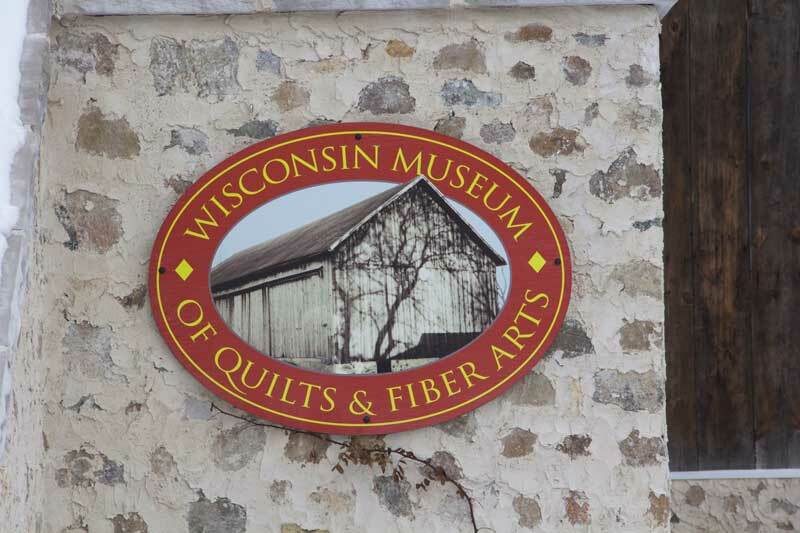 I intend to grab a few of my quilting friends and take a field trip up there in the next month. I’ve seen a lot of your quilts over the years (and love them all) but I’ve never seen them displayed like this. Can’t wait to see them and this gorgeous museum. Congratulations to you and Bill! Oh Bernie I hope you enjoy it. 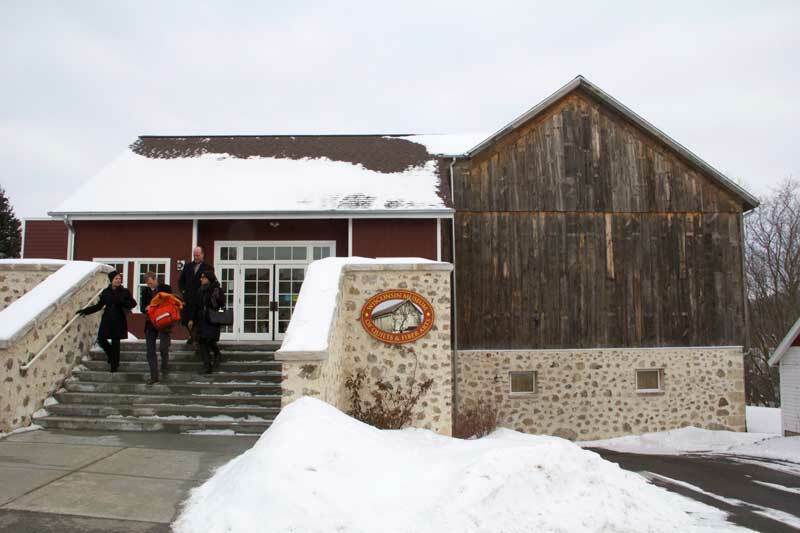 We stopped for lunch at The National, which has delicious food as does Beans and Barley if you want to stop for a bit in Milwaukee on the way. I hope you enjoy the show! 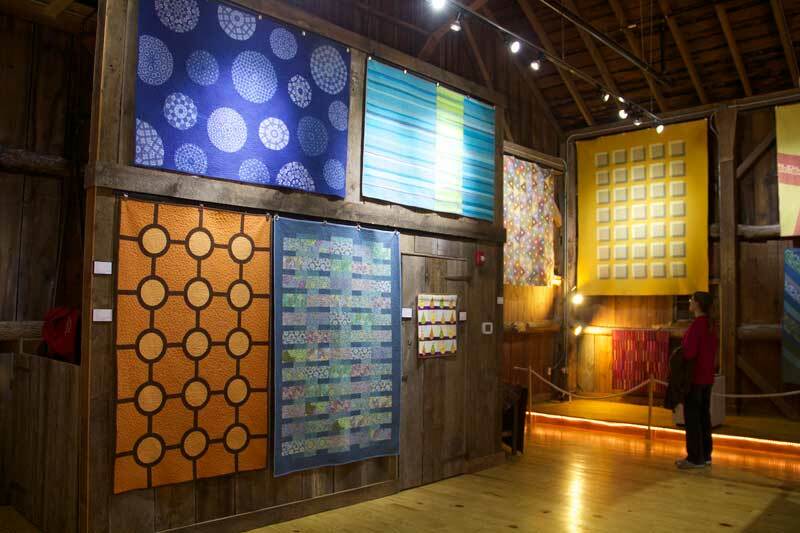 That museum is gorgeous — I love how the quilts hang from the rafters. They look amazing. Congratulations!! Well-deserved.